Click here for door-to-door driving instructions. We know you have many choices when choosing a Podiatrist in Hamilton, NJ, so we have made requesting an appointment a simple process via our Web site. If, for any reason, you cannot keep a scheduled appointment or will be delayed, please call as soon as possible. 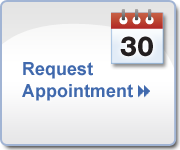 Charges may be incurred for appointments canceled less than 24 hours before scheduled appointment time.